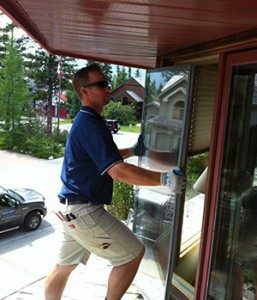 Whether your window is cracked or broken, un-repairable, or you simply want to upgrade to Low – E, energy efficient glass, Fog-Out Window Solutions can recommend the best solution for you. Without having to remove the entire frame, Fog-out can simply and quickly replace the sealed unit (just the glass) in any window or door, saving you money as we eliminate the cost of a full frame installation. The ‘sealed unit’ is the glass portion of your window, most commonly made of two or three panes of glass separated by a spacer that seals the gap between the glass. This air space is the means of insulating your window, and is what helps keep frost and condensation from forming on the window pane. Sometimes even the highest quality sealed unit wears out under constant expansion and contraction, and moisture seeps in. If you notice fog or moisture in the sealed unit, in between the panes of glass, the window has failed. Fog-Out can out and give you an estimate on either a new sealed unit or the “Fog-Out” repair options. Low-Emissivity glass, commonly called low-E glass, is really the best energy efficient sealed unit you can get and is becoming increasingly more popular. Windows with low-E have a thin, transparent coating of metal and metal oxides that work in tandem with argon gas. They are over twice as energy efficient as a regular clear double pane windows. 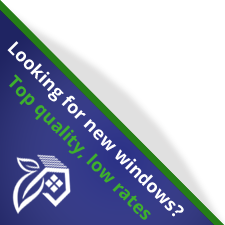 If you’re ready to save money by replacing your old windows with Low-E energy-efficient glass, contact us for a free estimate or more information.